Catch them in London on 27th May at the KOKO! Tell us a little bit about your latest album 'Live From The Woods' and why you decided to capture your live shows on this release? We have always wanted to put out a record that captures the energy of our live shows. We record almost every show so we have a ton of recorded material that hasn't been released. Last fall, we played in Nashville at an outdoor venue in the woods. After listening back to the show, we knew we had to put it out as a live record. The crowd was electric and sang their hearts out. It was one of our favorite shows we have ever played. I love “More Heart, Less Attack” from the record. It is stripped back with everyone singing into one microphone. It’s my favorite moment in the show. You have a number of UK shows coming up this month, what can fans expecting from these live dates? We absolutely love coming overseas and playing shows. The last time we were in the U.K., we did a more stripped back acoustic tour which was fun for us. It was the first all acoustic tour we’d ever done. This time, we are bringing the full rock and roll circus. We can’t wait to play these shows and meet new fans. Rock and roll for the soul. We listened to a lot of different music growing up. Most of us come from the Southern part of the U.S. where roots music was everywhere. You could walk down the street and you’d be sure to find someone on their porch singing and playing a guitar or something. As we got older, we all fell in love with bands like The Black Crowes and artists like Bruce Springsteen and Tom Petty. We grew up in church too so gospel music will always be in our blood. What's your song writing process? If you could work with any song writer, who would it be and why? Bear and Bo write all of the songs. There are always ideas and melodies passed around within the band so we are constantly working on new material. Bear and Bo come from different head spaces when writing so when they come together, it creates a unique blend. As far as people we’d like to work with, we have really been digging this songwriter named John Moreland. He writes some amazing lyrics. Or the Boss. How would you define success in your career as a band? We try not to think about it too much. We love that people have added our music into their every day lives. Whether driving to work, hanging with friends, or singing the songs with their kids, the fact that it means so much to so many people is amazing. What advice would you give to any aspiring bands out there? Write every day and ask for help. And if you have the choice to sit it out or dance, I hope you dance. Guiding Light by Foy Vance. 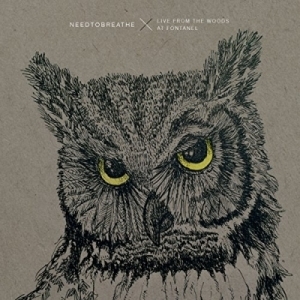 What does the next year hold for Needtobreathe? Finishing out the year with a West Coast US Tour with our pals Switchfoot, Drew Holcomb & The Neighbors and Colony House. Then, we plan on going back into the studio to work on songs for the next record. Then who knows? Maybe we can take up a hobby like tandem bicycling or something. We are taking suggestions. 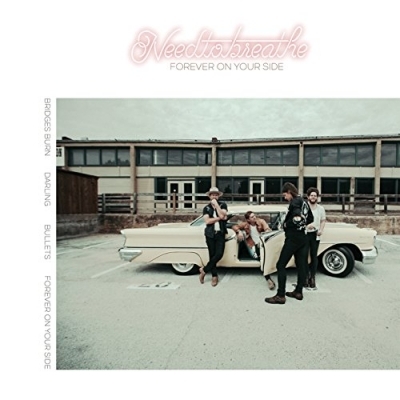 Taken from Needtobreathe's new album 'Hardlove', here is the video for 'Happiness'.